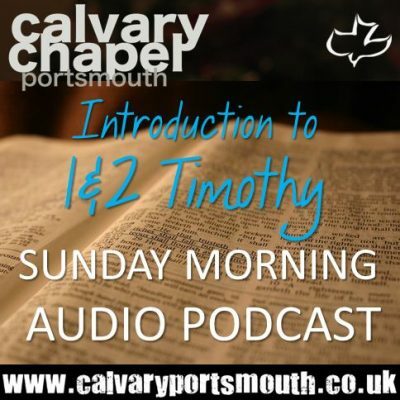 Recorded on the 13th January 2019 at our family service, this study is an introduction to our verse by verse journey through 1st and 2nd Timothy. Written by Paul to his young prodigy and ‘son in the faith’ Timothy, to encourage this young pastor of the church at Ephesus to keep going! We all face challenges in life, and as a Christian, we can expect challenges in ministry. Paul urges Timothy that it is too soon to quit! He had been given a charge by God, called to a work that could only be accomplished by standing strong in the Grace that is in Christ Jesus. This is a message for all believers, to endure as a faithful soldier enlisted in God’s army. The audio and Powerpoint slides used in this study are available for free download.